Rather like Scotland in the Principality Stadium yesterday Vectis found themselves outplayed by more physical opponents who were well drilled. The first game in a triangular fixture started well for Vectis with several assaults on the Brighton Line, led by Ryan Fu, which were repelled by solid defence from the home team. Vectis were made to pay for not scoring when they had territorial dominance as Brighton worked their way into the Vectis half and scored from their first serious attack. Another try followed soon afterwards. In the second half Vectis had several attacks but on each occasion the runner ran out of support and Brighton turned the ball over, and switched quickly from defence into attack scoring 3 further tries. Vectis did score one try from close range by Emile Bleriot after strong runs by Sam Thomas and Thor Lawel-Rieley. It wasn't enough however to turn around their fortunes. 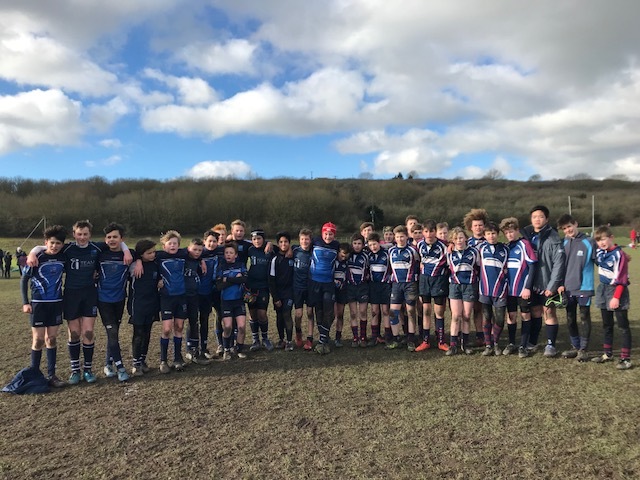 The second match against Haywards Heath was a repeat of the first game, with Haywards Heath scoring several tries through great teamwork and individual skills. Vectis were unable to get into the game as their ball was turned over regularly and they were having to tackle almost non-stop. That took its toll in the end with Haywards Heath running out winners with Vectis unable to get on the score sheet. Despite the scores Vectis can take heart from the individual efforts of everybody who played, with Harry Johnson's mazy run being one of the highlights. Conditions were trying in a very cold wind, and both opponents were playing at a level Vectis need to work towards. In trying circumstances the team can be proud of their efforts.